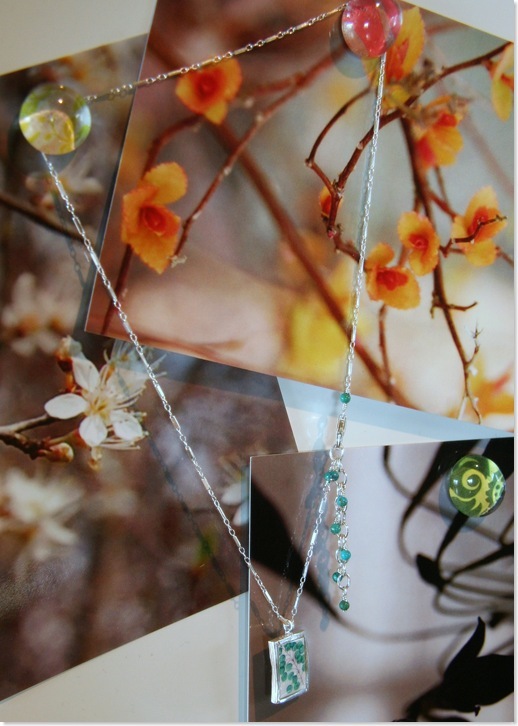 I also got this gorgeous little necklace from Hannah Made, which features a tiny photo of a collage made by Michelle Caplan for her Collage Lab project (I have to admit that the Husband needed to be gently led in this direction). I just love how this is a collaboration between two different artists in very different media, but who have combined to make something so unusual and pretty. It's currently hanging on my inspiration board just so I can look at it. The postcards are from UK photographer Donna Compton, who takes the sort of flower photos that I aspire to take (found via Decor8) and the marble magnets in Amy Butler prints are from the Purple Pear.